People approached a Panera Bread restaurant in Natick. In a case with important implications for restaurants and the nation’s intensifying battle over food allergies, a Massachusetts judge ruled on Thursday that a jury will decide whether Panera and the owner of its Natick franchise should be held civilly liable for serving a 5-year-old girl with a life-threatening peanut allergy a grilled cheese sandwich containing peanut butter. Middlesex Superior Court Judge William Ritter’s decision to deny motions for summary judgment means a jury will decide if Panera and the owner of its Natick franchise should be held liable for a number of civil claims, including assault and battery. The Natick cafe is owned by PR Restaurants and managed by PR Management Corp., both based in Newton. The incident happened in January 2016, when Elissa Russo of Natick used Panera’s online system to order a sandwich for her daughter, as part of a larger to-go order. She noted in two places in her online order that the grilled cheese was for a child with a peanut allergy, according to the judge’s order. Only after her daughter bit into the sandwich at home did Russo discover that it contained a considerable amount of peanut butter. Shortly after she bit into the sandwich, the girl vomited and had diarrhea, then repeatedly asked her parents “Am I going to die?” While being treated at Newton-Wellesley Hospital, she broke out into hives and received an emergency shot of epinephrine. The judge’s order notes that sometime after the incident, a child psychiatrist diagnosed the girl with post-traumatic stress disorder. The girl, who had turned 6 by the time the lawsuit was filed, is now 8. The incident drew worldwide attention when the Globe first reported on the lawsuit two years ago. Mary Vargas, the Maryland attorney who along with Laurel Francoeur of Woburn represents the girl, called Thursday’s Superior Court decision extremely significant. “Panera has maintained from the beginning that it has no responsibility because the Natick café is a franchise,” Vargas said. “The court rejected that,” based on the fact that corporate Panera designed, owns, and controls that online ordering system. “A jury could find that a national chain was negligent based on how a franchise served a child with a food allergy,” she said. Vargas said the ruling held a larger message. “This ought to be a warning bell to restaurants that it could be considered civil assault and battery to serve an allergen to someone who has a severe allergy,” she said. The judge ruled there were sufficient reasons for the case to go to trial. “The question of whether the defendants exercised due care in the discharge of their duty to make the grilled cheese fit to eat is for the jury to determine,” Ritter wrote. Vargas said that the Panera worker required the use of a Spanish translator during her deposition. The lawsuit against Panera and the PR franchise group claims negligence, breach of the implied warranties of fitness and merchantability, intentional or reckless infliction of emotional distress, assault and battery, and assault. Michael Hayden, the Boston attorney from Morrison Mahoney who represents Panera and the PR franchise group, noted that the judge denied motions for summary judgment made by both sides, but said he was unable to comment further. 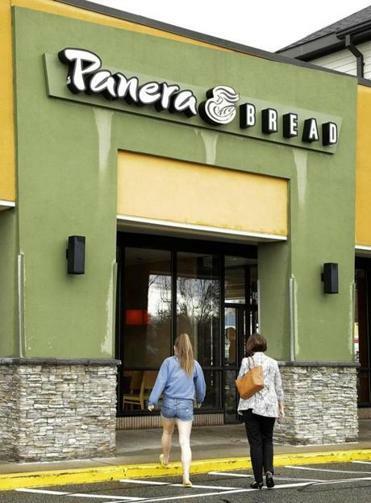 A different Superior Court judge ruled last year in the case on a matter involving the inability of the Natick Panera franchise to produce footage from the time of the incident from its video surveillance system. Neil Swidey is a Globe Magazine staff writer. E-mail him at swidey@globe.com or follow him on Twitter @neilswidey.